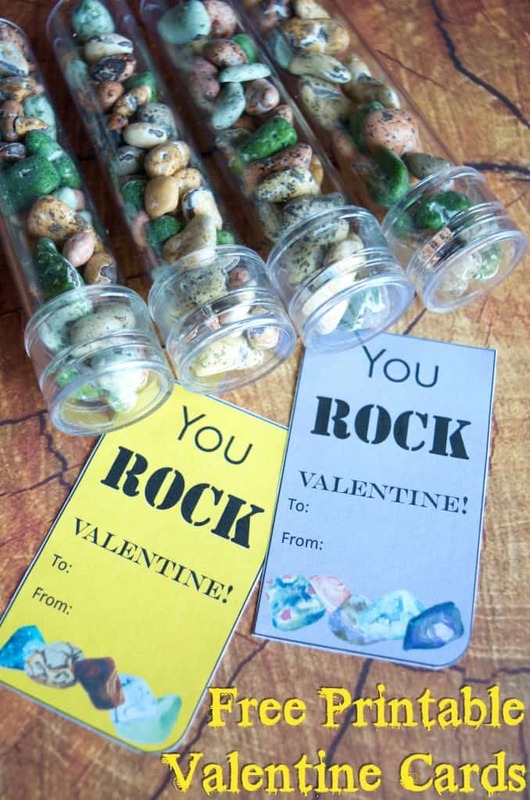 All 3 of my kids are in nut free classrooms, and my preschooler actually isn’t allowed to bring treats in at all for parties – only non-candy gifts. 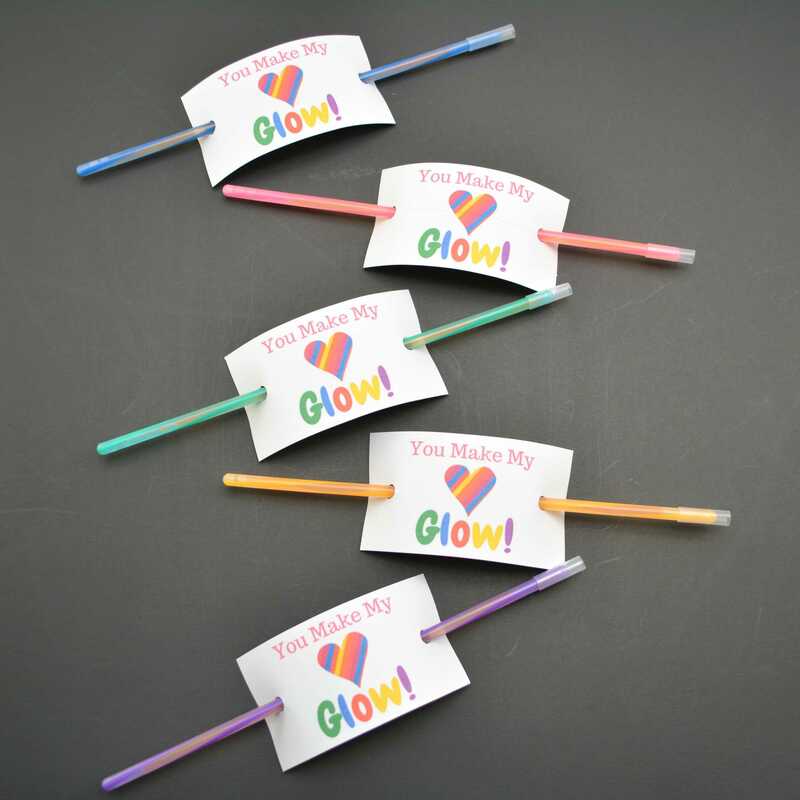 If this sounds like you than these glow stick valentine’s day cards are PERFECT for you! 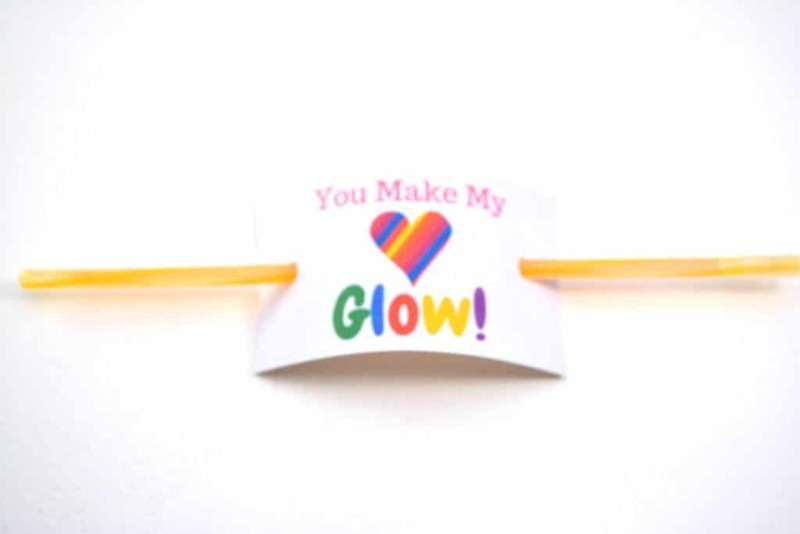 Order these cheap glow sticks in bulk, print out our “You Make My Heart Glow” card below and pass them out! Below are step by step instructions if you need them! 1. 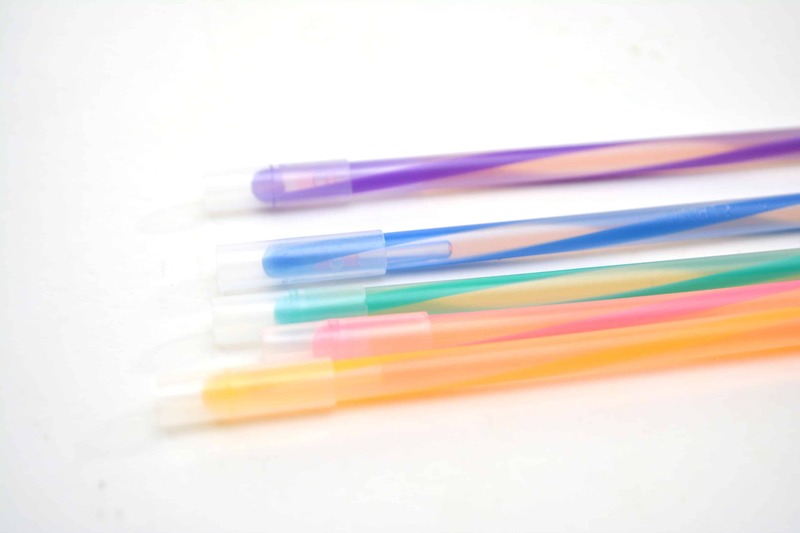 Begin by taking out all of the glow sticks and pushing on the plastic connector pieces onto one end. 2. 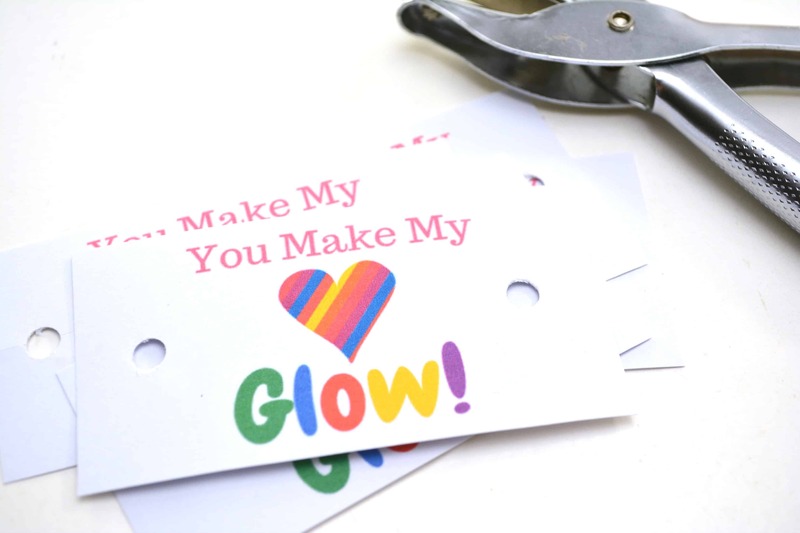 Cut out the Valentines from the “You Make My Heart Glow” printable (PDF below). 3. 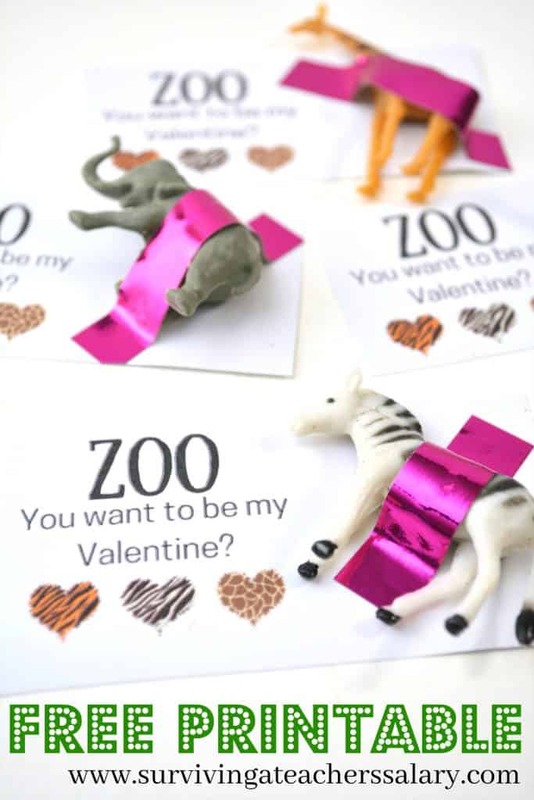 Punch one hole on each end of each Valentine horizontally. 4. 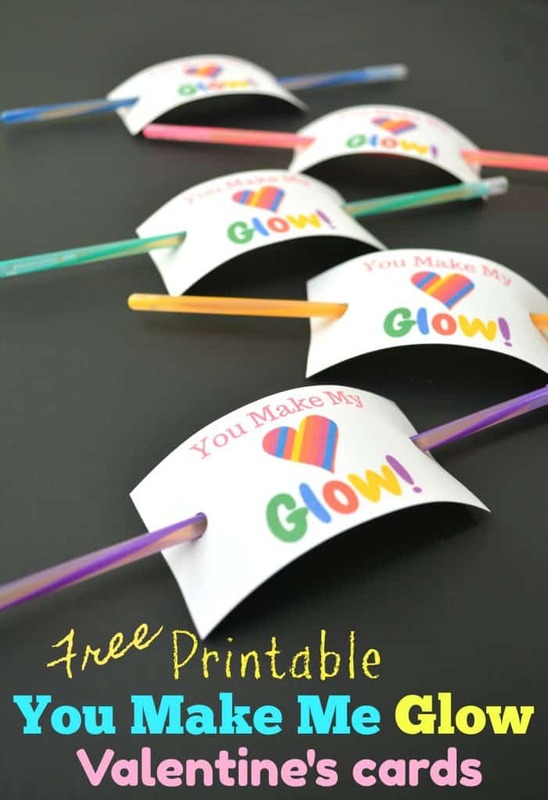 Slide one glow stick through the holes created on each Valentine. 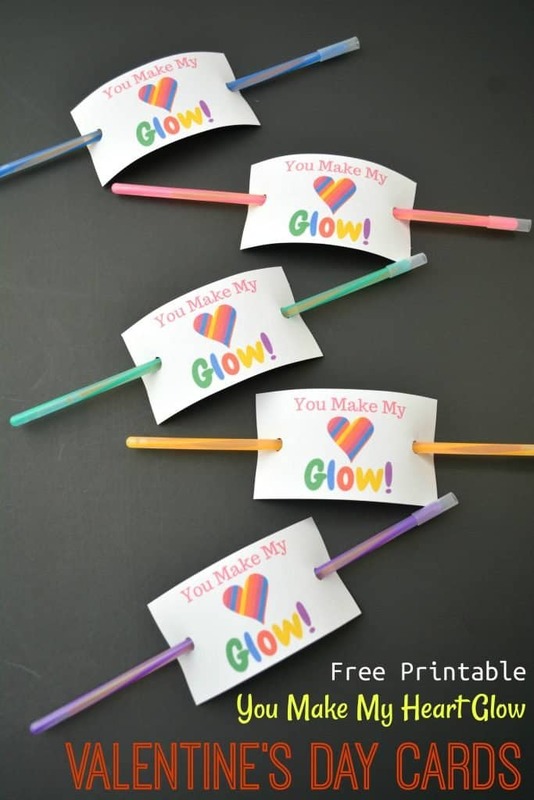 The glow stick will thread in behind the card stock so that the Valentine is fully visible. You can see this in the photo above and below. 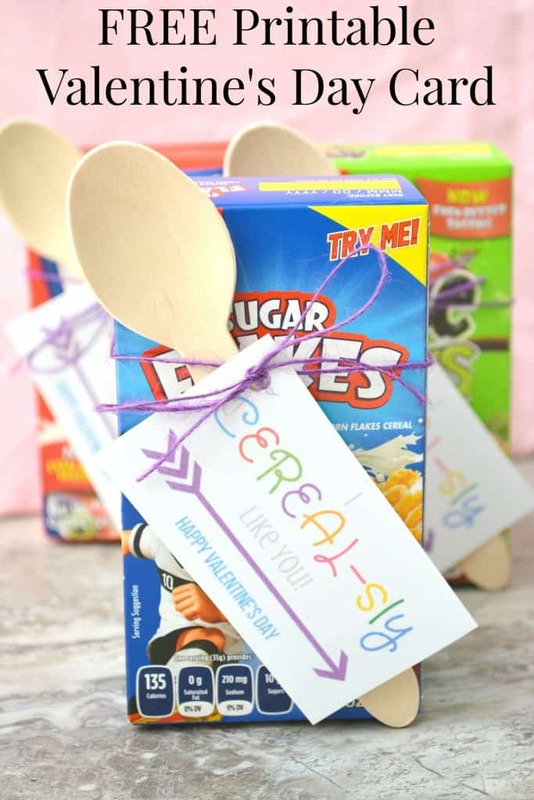 Check out our “Pizza My Heart” Paper Plate Craft for Valentine’s Day!